A stunning David Webb snake ring. Some gorgeous vintage and contemporary jewelry, bags and objects are up for auction right now over at Paddle8, through July 10. The auction is called “Uptown Accessories,” is curated by everyone’s favorite senior style blogger, Ari Seth Cohen of Advanced Style, and includes pieces by David Webb, Fred Leighton, Tiffany & Co., Cartier, Hermès, Louis Vuitton and Céline. Here are a few of my favorites! 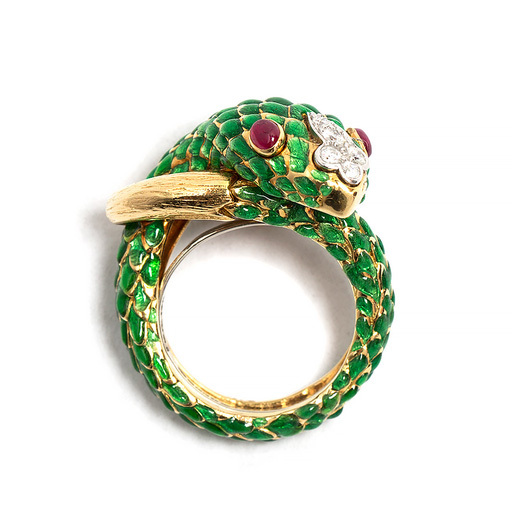 I love the David Webb snake ring above, of green enamel scales set in yellow gold and inlaid with rubies and diamonds. What an amazing ring! 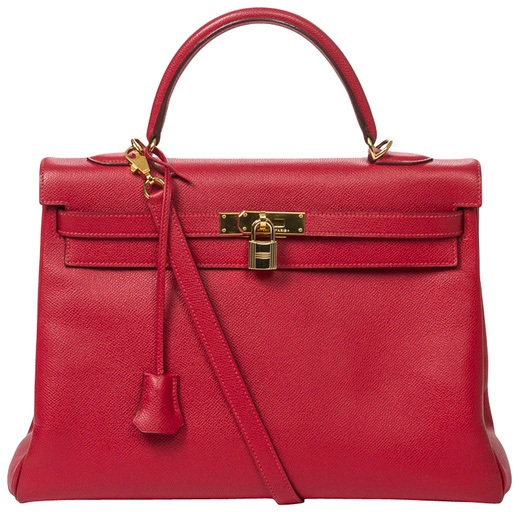 A 2003 Hermès Kelly 35 in Rouge Vif Epsom leather with gold hardware. Rouge Vif is the best red! I think Hermès anything in Rouge Vif is beautiful, since Rouge Vif is such a heart-stopping red, so you can imagine how much I love this retourné Kelly 35 with gold hardware. A stunning chalcedony and pavé diamond cocktail ring by Fred Leighton. 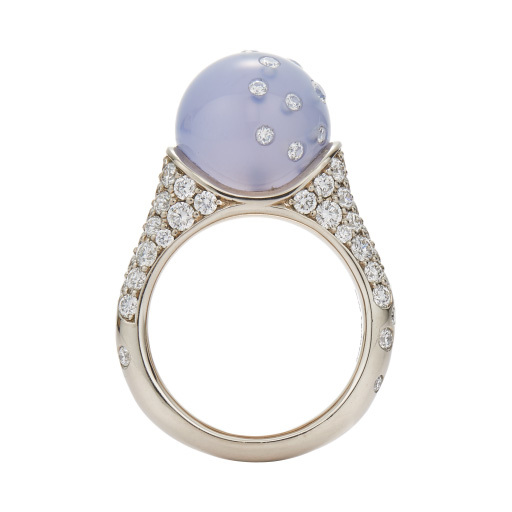 I am crazy for this Fred Leighton “Celestial Cocktail Ring” of chalcedony inlaid with diamonds and set atop a pavé mount. 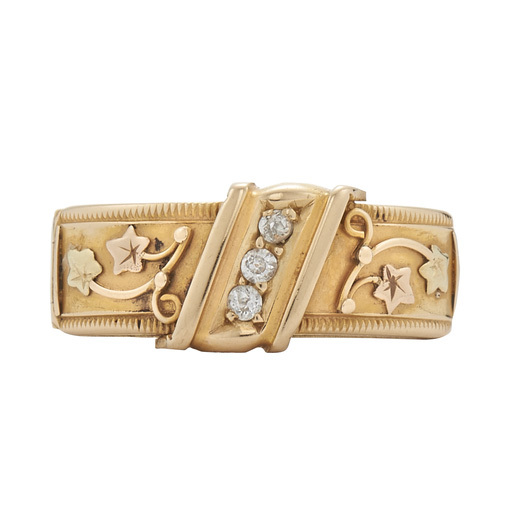 Wouldn’t this ring be perfect to wear to a swanky summer cocktail party, paired with a simple white dress? 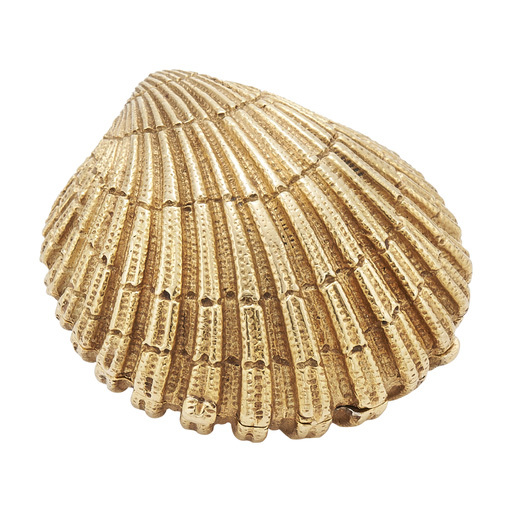 A glorious 1960s Schlumberger for Tiffany & Co. gold shell pillbox. As much as I have had vintage jewelry on my mind I fell instantly in love with not only the solid gold shell pillbox by Schlumberger for Tiffany & Co. from the 1960s, above, but the gold scarf slide from the 19th century, as well as the emerald and diamond pendant earrings from 1957. A gold scarf slide from the 19th century. Amazing! 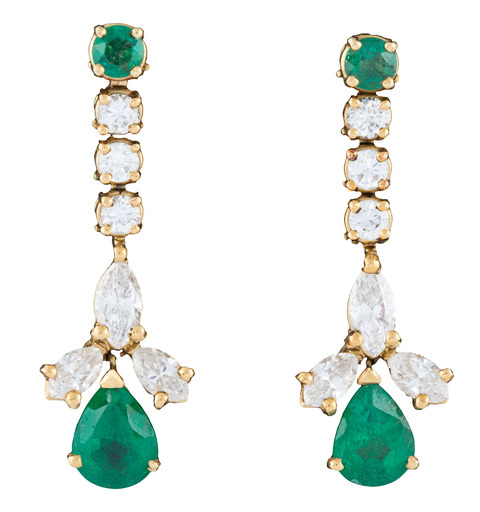 These emerald and diamond stunners are from 1957. A Victorian-era hidden message ring. As for this Victorian ring from the 1860s, with its ivy pattern and inlay of three diamonds, this beauty is the height of romance, in my opinion. The hinge opens to reveal the words “Ever Thine” inside. What an amazing wedding band this would make for a lucky bride, don’t you think? A view of the hinge. Head over to Paddle8 to see even more beautiful things and do tell which one of the above items is your favorite. I’d love to know! Rouge Vif is a great red and these pieces are nice but GSL is not into bling... my dear Jill, I don't suppose you've ever been accused of being a cheap date...?